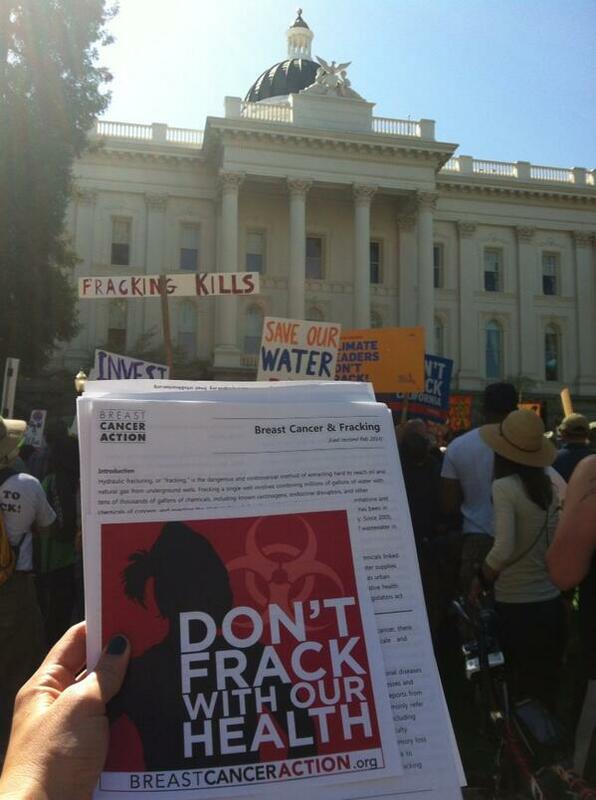 I was proud to represent Breast Cancer Action last weekend at the largest anti-fracking rally in California’s history. 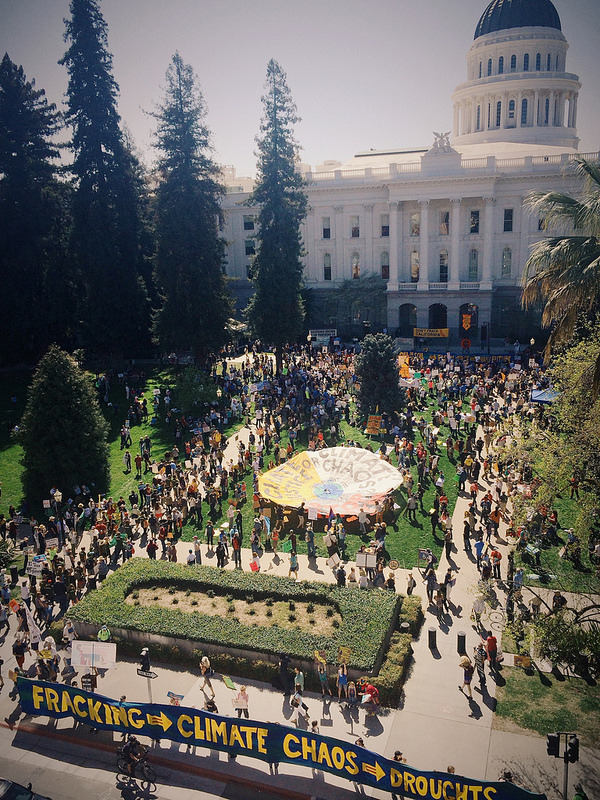 Thousands convened on the State Capitol in California to deliver a message to Governor Jerry Brown loud and clear: Ban Fracking in California Now! A lot of the activism against fracking focuses on climate change. While concerns about the climate impacts of fracking are certainly important, we must also address fracking’s threat to human health, which is where BCAction comes in. We know that fracking for oil or gas involves injecting known human carcinogens and endocrine-disrupting chemicals deep underground – and into water supplies. Attending the Don’t Frack California rally was truly inspiring. It felt great to see and meet so many passionate activists committed to ending this inherently dangerous method of oil and gas extraction. And it’s exciting to see how activists who care about the same issue for different reasons can come together and take action. We’re proud to bring a feminist women’s health perspective to the swelling anti-fracking movement. During the rally, I passed out copies of Breast Cancer Actions info page about the links between breast cancer and fracking and had countless conversations with fellow rally-goers about the need to protect public health by refusing to allow toxic and hazardous chemicals to contaminate water supplies, farms across the state, and our bodies. We will continue to demand an end to this toxic process that is actively harming our health and we will keep you posted on additional opportunities to take action. I hope to see you at the next rally!